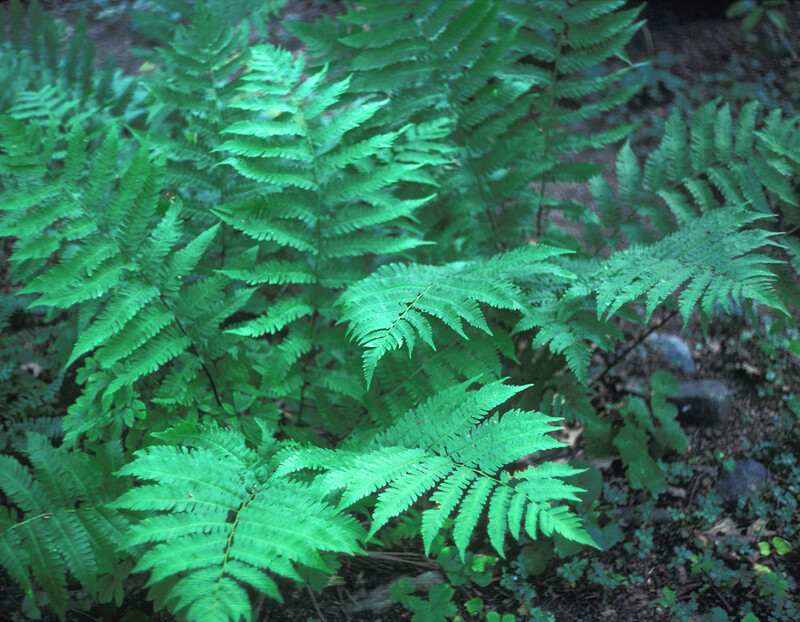 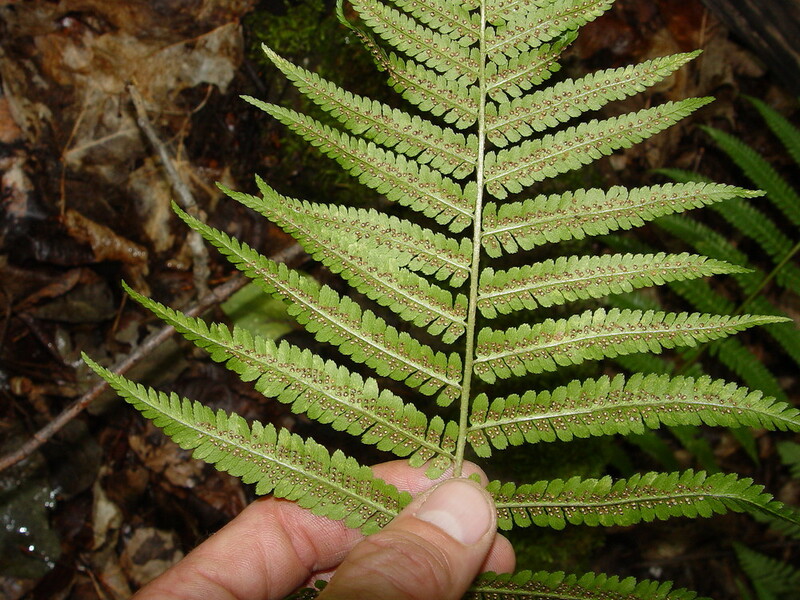 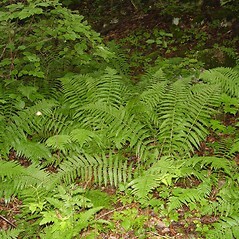 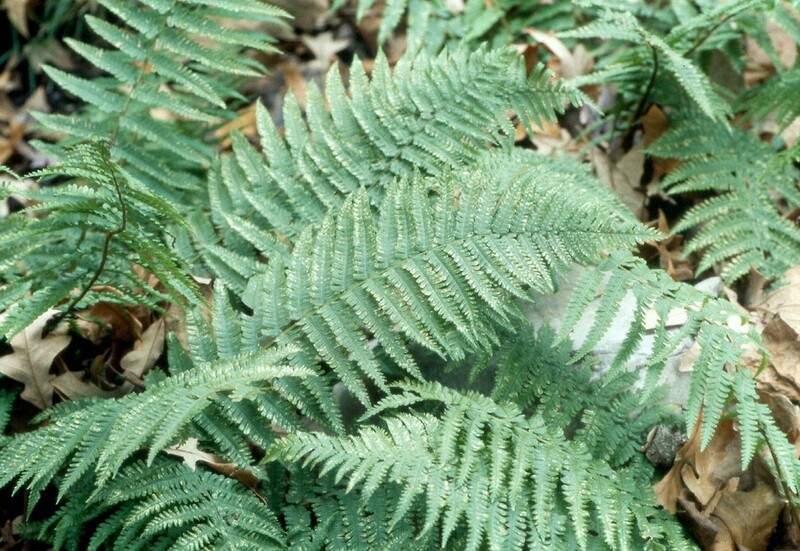 Male wood fern has an unusual distribution that includes the western mountains of North America, around the Great Lakes, and in Europe and Asia. 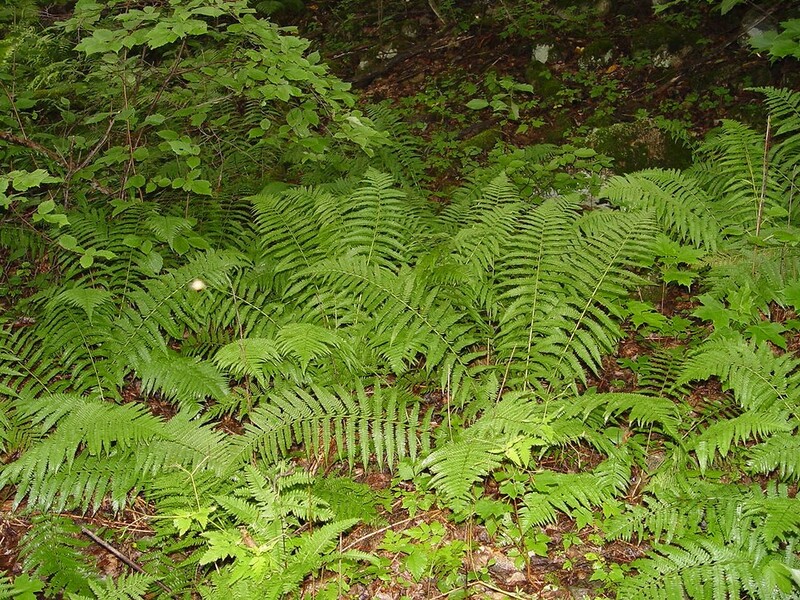 In New England it is a very rare inhabitant of rich, rocky forests of Maine, New Hampshire and Vermont. 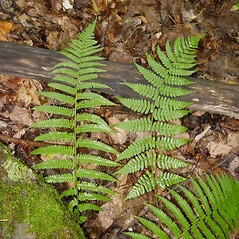 sori borne near margins of ultimate segments and scales not of two distinct sizes (vs. D. filix-mas, with sori born between the margins and veins of the ultimate segments and scales of two distinctly different sizes). 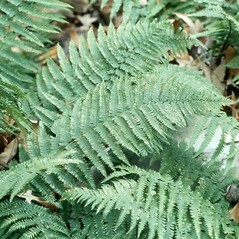 Our subspecies is Dryopteris filix-mas (L.) Schott ssp. 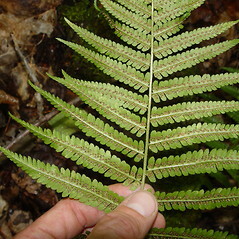 brittonii. 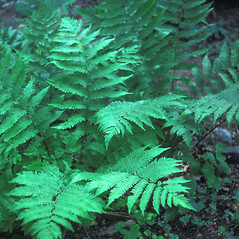 male wood fern. 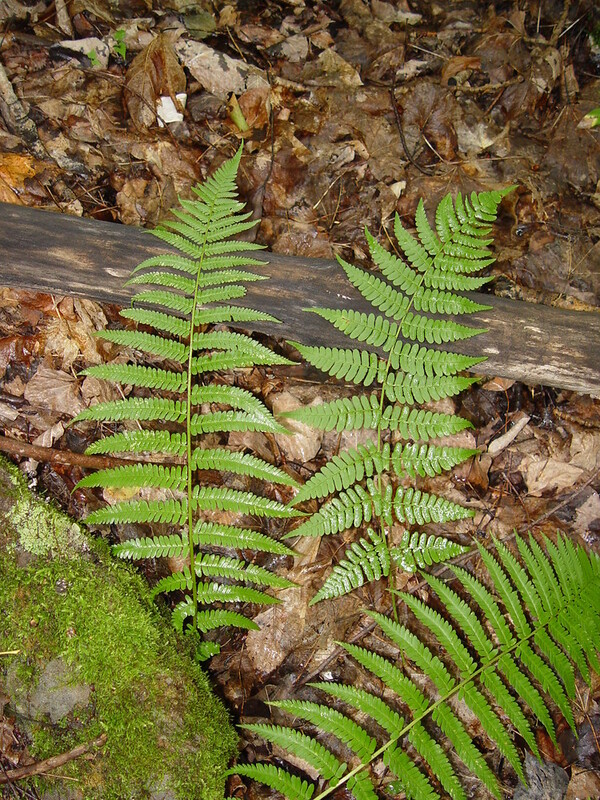 Polypodium filix-mas L. • ME, NH, VT. Rich, mesic, often rocky, forests. 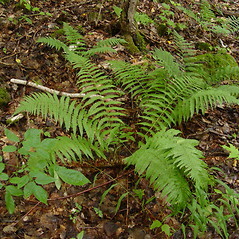 3×5. 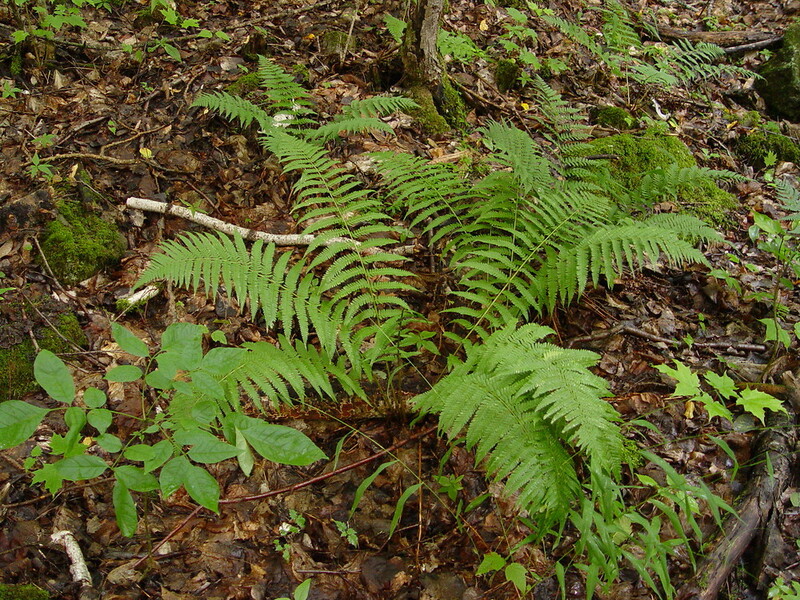 Dryopteris clintoniana × Dryopteris filix-mas → This very rare wood fern hybrid is known from VT. 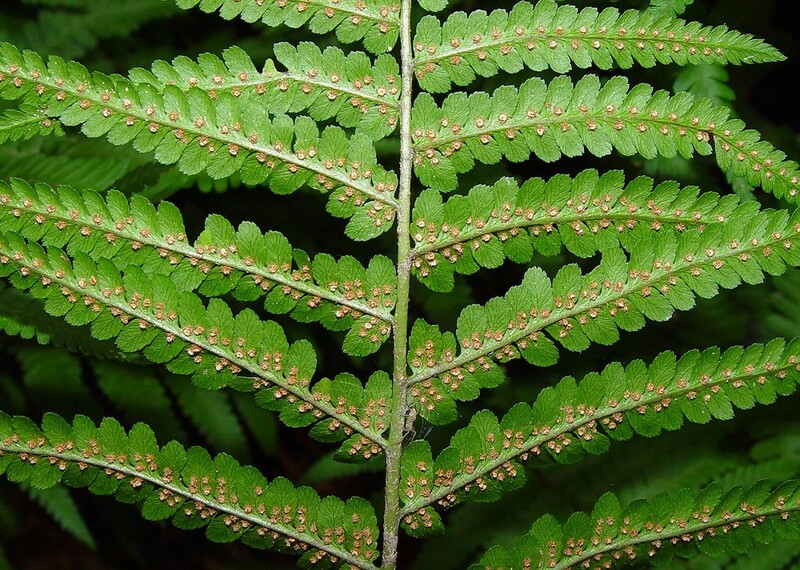 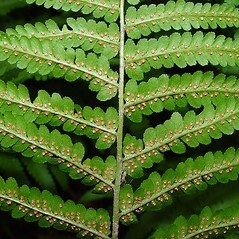 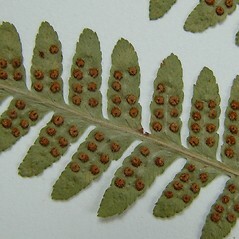 It generally resembles Dryopteris clintoniana but has scales of two sizes on the petiole and some microscales on the costules. 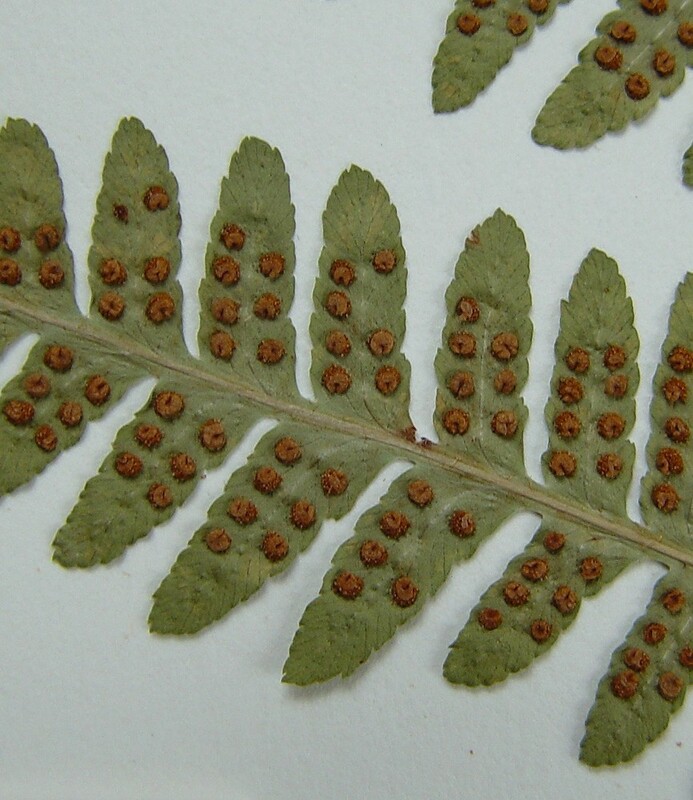 It can be separated from D. filix-mas by the relative paucity of scales on the rachis and costules and the relatively broader leaflets (lanceolate to triangular-lanceolate vs. narrow-lanceolate or narrow-triangular-lanceolate in D. filix-mas).